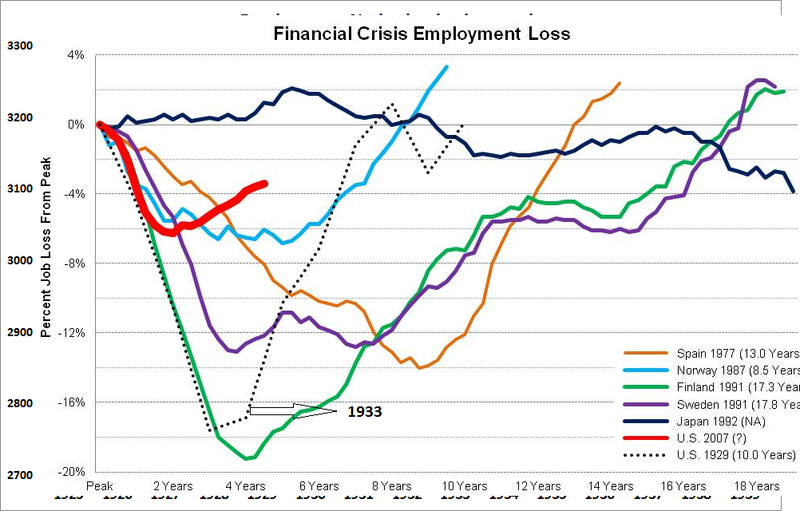 In this graph the percentage job losses from the peaks are shows for several countries during selected financial crises. Finland (1991: year of start of the contraction) saw the biggest decline in employment; almost 20 percent. Compared to Finland (and most other selected countries) the United States job market is currently not doing that bad. For Sweden of the selected countries it took the longest, during its crisis starting in 1991, for the job market the recover to pre-crisis levels, 17,8 years. What a way to approach. What a way to approach.